One of the most important Biblical prophets. Lived in the 9th C BC during the years of King Ahab and queen Jezebel. 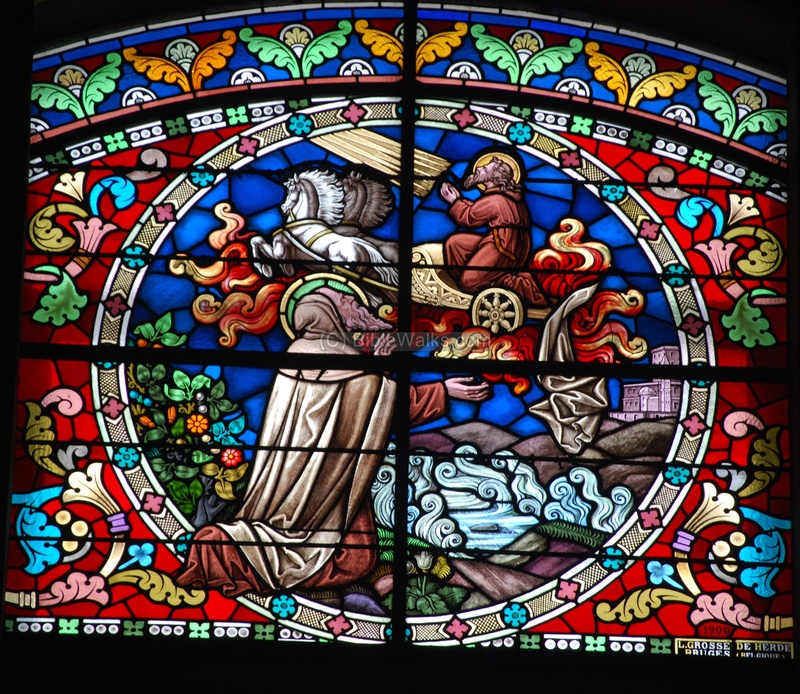 This page summarizes the sites associated with the life of the prophet Elijah. Elijah was one of the important Biblical prophets, who lived in the 9th C BC during the times of King Ahab and his wicked queen Jezebel. 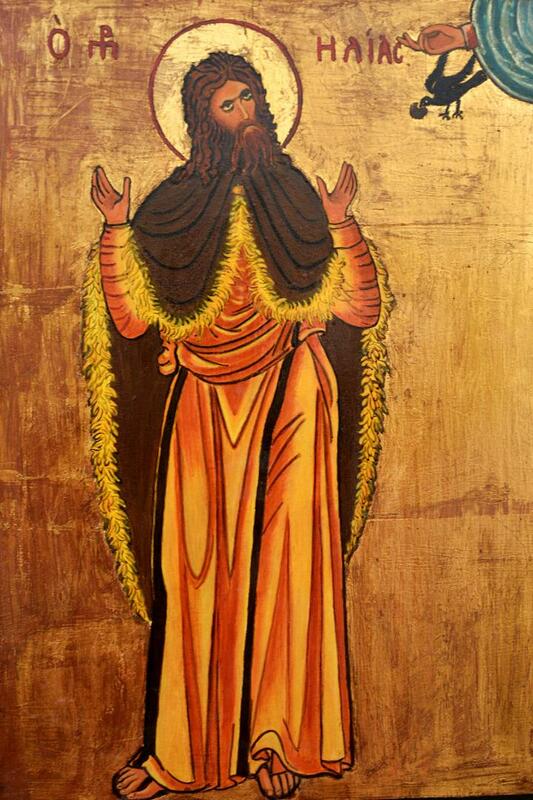 Elijah is regarded by all faiths (Jews, Christians, Muslims and Druze) as a healer, a miracle maker, and a great hero who stood against the might of Kings and false prophets. 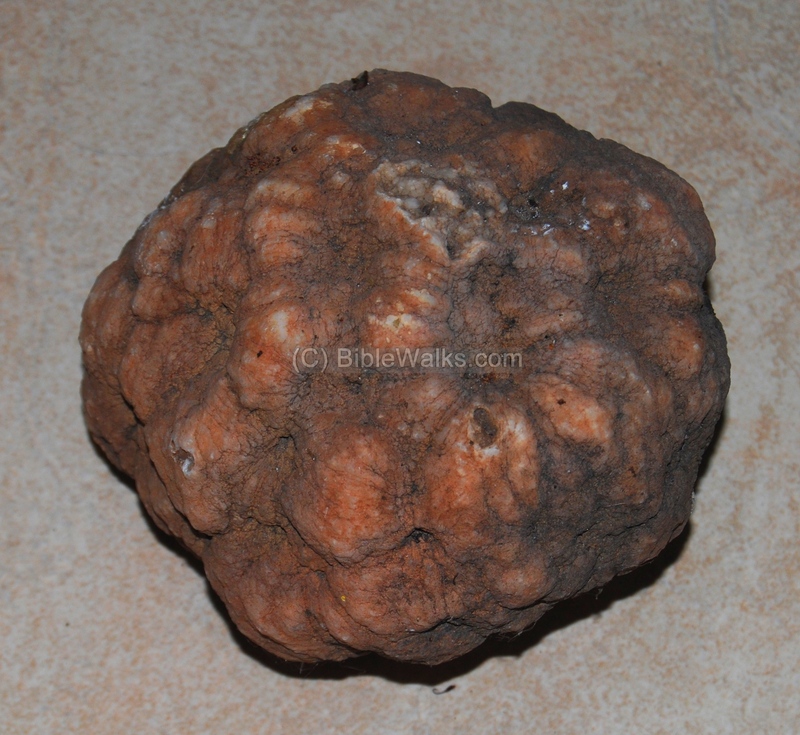 He is incorporated in many of the religious accounts (such as the transfiguration of Jesus) and traditions. 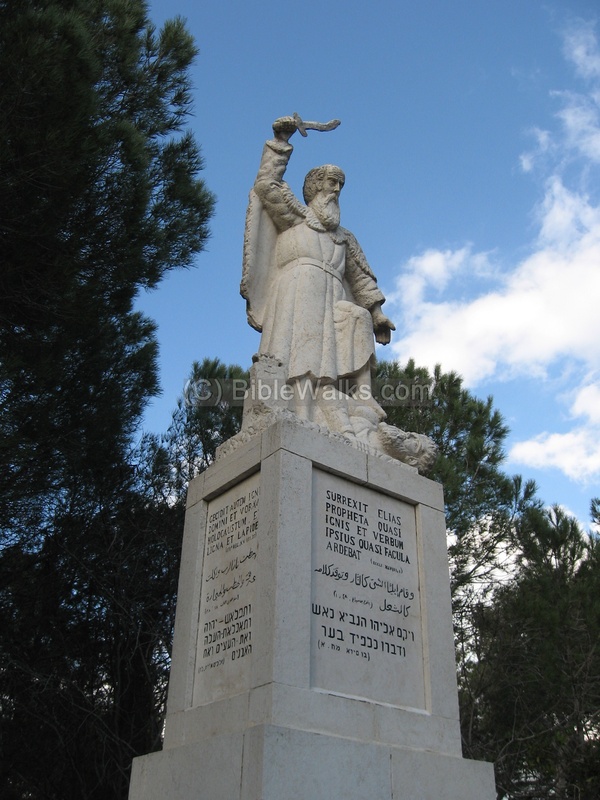 Elijah operated in the area of the Carmel and the northern parts of Israel, and left his name and memory of events in many Biblical and ancient places. 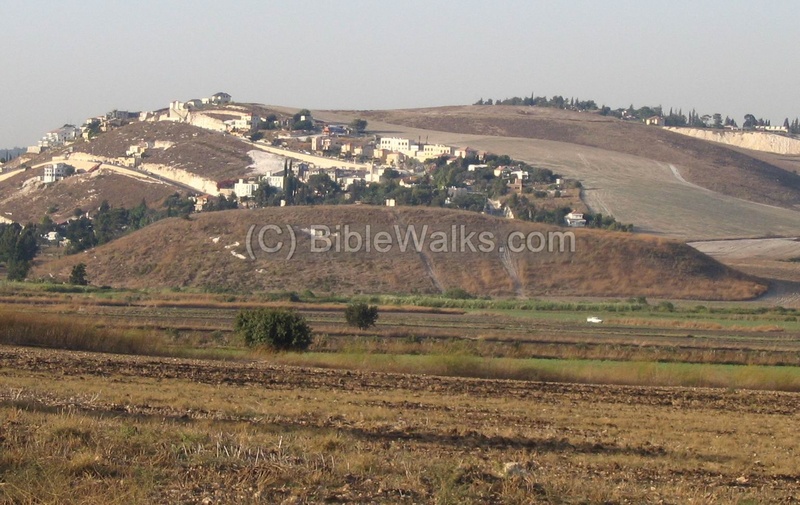 This page summarizes the sites where Elijah operated, and are featured in BibleWalks.com. East edge of Mount Carmel - Keren Carmel (Mukhraka) - the traditional place of the victory of prophet Elijah over the Baal prophets. Elijah came from the Gilead, east of the Jordan river, and was a prophet during the rein of King Ahab of the North kingdom of Israel. "And Elijah the Tishbite, who was of the inhabitants of Gilead, said unto Ahab, As the LORD God of Israel liveth, before whom I stand, there shall not be dew nor rain these years, but according to my word". 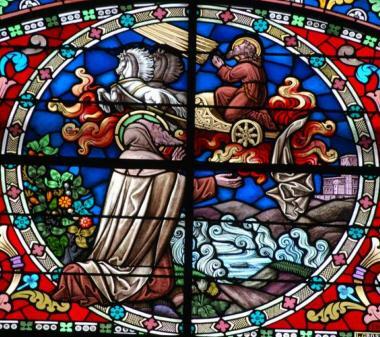 The following table lists the sites of the events of Elijah that are featured in BibleWalks. Click on the site's name to see more information on each site. 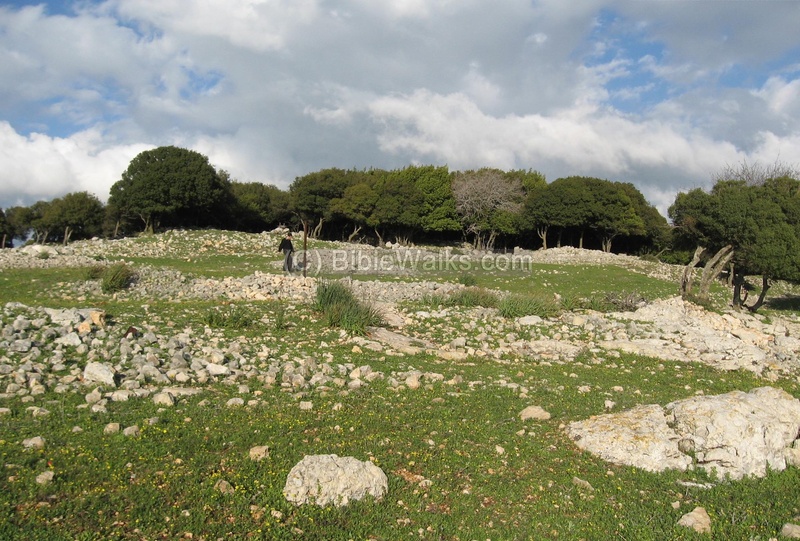 ""...And Elijah went up to the top of Carmel" A traditional site where Elijah lived and hid from Ahab and Jezebel. Click on the photos to enlarge them. "And it came to pass in the mean while, that the heaven was black with clouds and wind, and there was a great rain. And Ahab rode, and went to Jezreel. And the hand of the LORD was on Elijah; and he girded up his loins, and ran before Ahab to the entrance of Jezreel". At the end of the contest Ahab returns back to the city, which became the winter capital of the Kings of Israel. "Then the fire of the LORD fell, and consumed the burnt sacrifice, and the wood, and the stones, and the dust, and licked up the water that was in the trench". 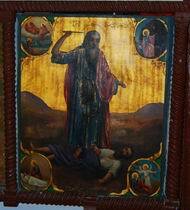 Victory of prophet Elijah over the Baal prophets. 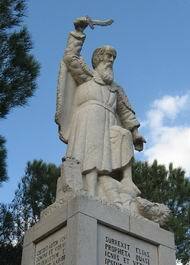 "So Ahab sent unto all the children of Israel, and gathered the prophets together unto mount Carmel". Another tradition of the place of Elijah's contest with the Baal prophets. 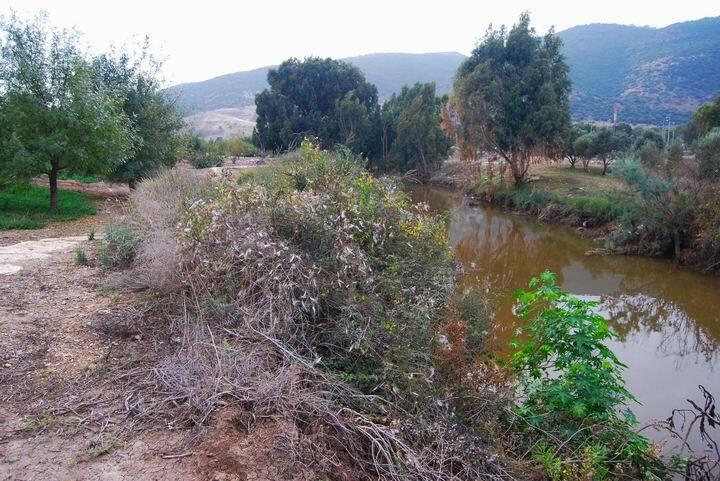 A mound near the Kishon river. "...and Elijah brought them down to the brook Kishon, and slew them there". A traditional site of the slaughter of the Baal prophets. The name of the site means "the mount of the priest", based on this tradition. "... and Elijah brought them down to the brook Kishon, and slew them there.". 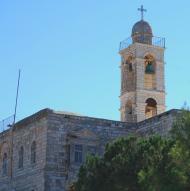 "...And Elijah went up to the top of Carmel; "
A Carmelite monastery and church on the west top side of the Carmel. The structure was rebuilt in the 19th C, and is one of the most popular sites in Haifa. 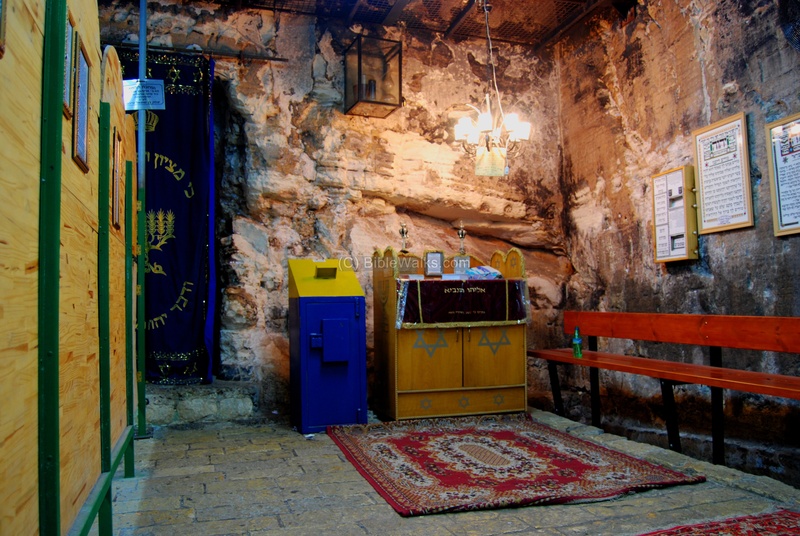 According to the tradition, a small cave in the church is where Elijah stayed. 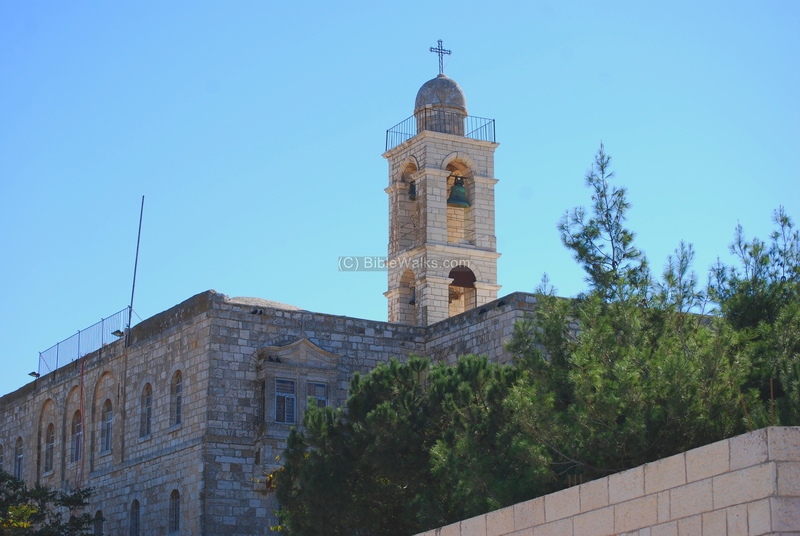 A Greek-Catholic (Melkite) church, located on the top of the hill where the Crusaders Kings fortress once stood. "And he came thither unto a cave, and lodged there"
The spring and cave are located in Siah brook, on the north-western side of the Carmel. 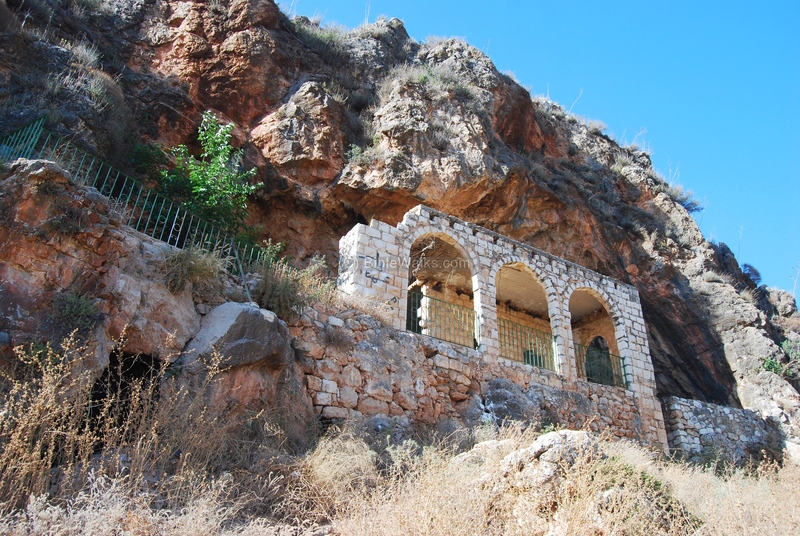 According to Carmelite tradition, the cave was the residence of prophet's Elijah place. Then Jezebel sent a messenger unto Elijah... And when he saw that, he arose, and went for his life, and came to Beersheba, which belongeth to Judah..." The monastery is named after prophet Elijah (St. Elias), who according to tradition stopped here on his way to the south while fleeing from the anger of queen Jezebel, after slaying the Baal prophets on the Carmel. Elijah's "watermelons" These stones are quartz balls, the size of various sizes such as a golf ball or melon; if the stone is broken it has a colored inner texture. Beit Kerem 1 Kings 19:9: "And he came thither unto a cave, and lodged there"
A Holy cave on the cliffs above the northern side of Beit-Kerem. 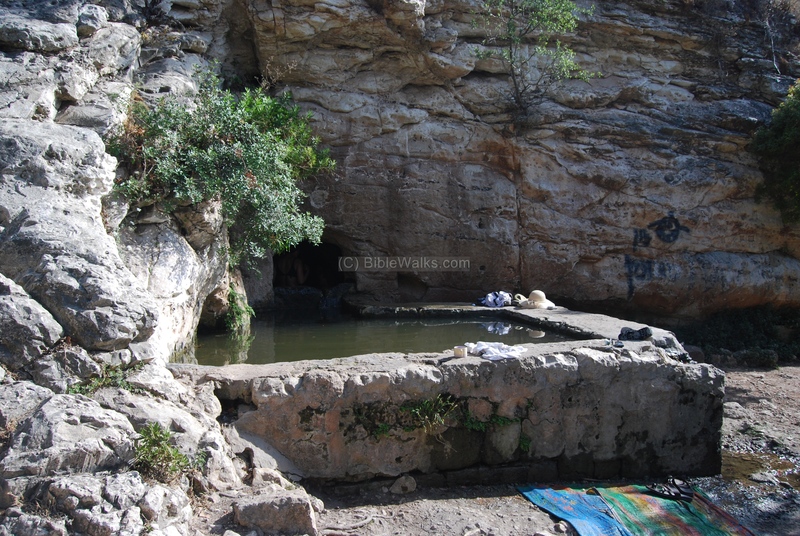 According to Arabic tradition - Elijah's hiding cave. 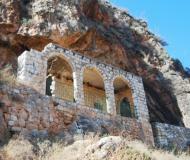 A Crusader chapel dedicated to St George is built in front of the cave. "...So they came to Jericho... and they two stood by Jordan.... and Elijah went up by a whirlwind into heaven". Site of Elijah's departure - the Jordan river near Jericho. "And he came thither unto a cave, and lodged there; and, behold, the word of the LORD came to him, and he said unto him, What doest thou here, Elijah?". St. George Koziba is a cliff hanging Byzantine monastery in the valley of Wadi Qelt, near Jericho. 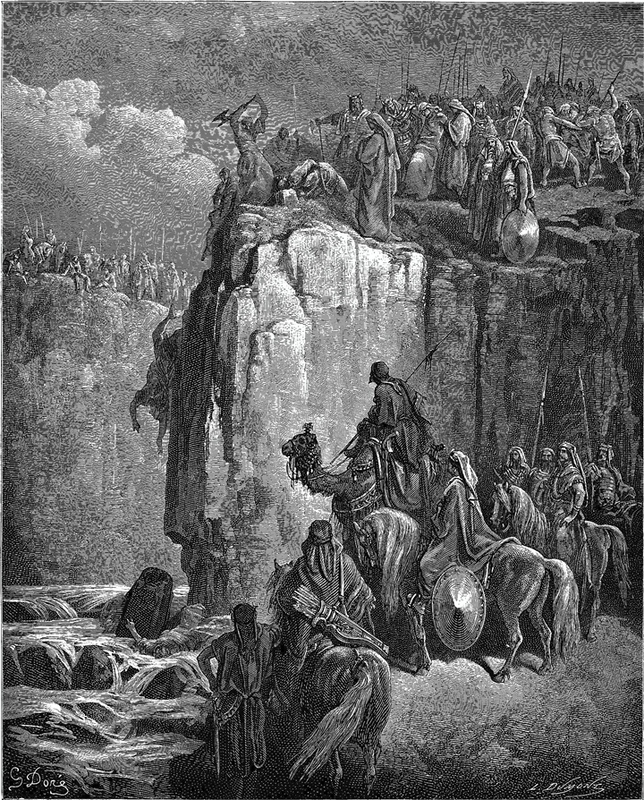 According to tradition, the place where Elijah hid in the desert. Elias - Greek for "Elijah" the prophet. 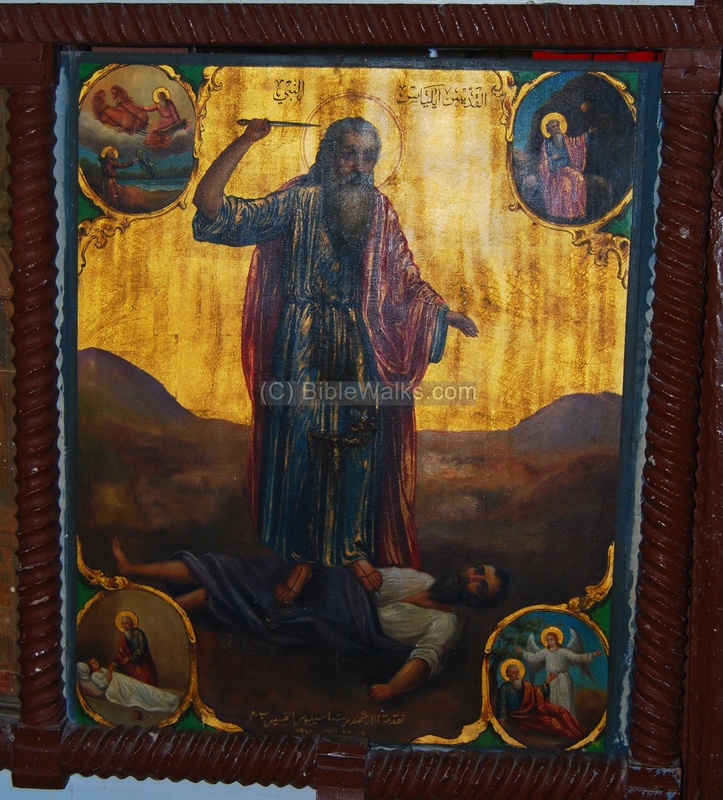 Elijah plays an important role in the Greek-Orthodox church. According to the tradition and Biblical texts, Elijah gave his spirit and power to John the Baptist, the forerunner of Jesus. New! Check your knowledge on Elijah - play the BibleWalks game to get to the "treasure box".